Even before a woman has a clue she might be pregnant, an amazing array of events are taking place in her body. From the moment of conception, when one lucky sperm beats out tens of millions of others to meet up with and fertilize the egg that was released during that month's ovulation, the clock begins ticking on what will be a remarkable 40 weeks or so of the development of a new human being. Here's a look at what's going on behind the scenes during the first two weeks of pregnancy—the germinal stage. 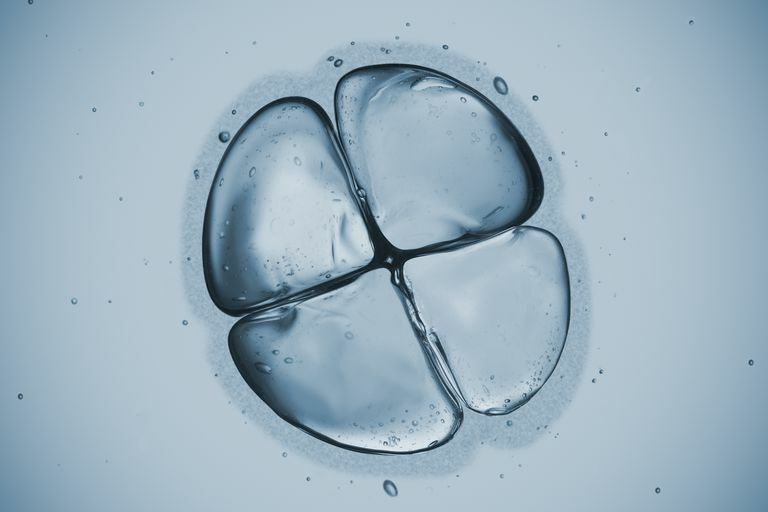 When an egg is fertilized, the result is a single-celled organism called a zygote. Almost immediately the zygote is on the move, making its way from the Fallopian tube where fertilization took place toward the uterus. It can take as long as a week for the zygote to complete the trip. At the eight-cell mark, the multiplying cells will begin to differentiate. This means each one will take on certain characteristics that will determine the type of cell it eventually will become—a skin cell, for example, or a lung or kidney cell. As the cells multiply, they also will separate into two layers: the inner layer will eventually develop into an embryo, the outer layer will become the placenta. By now the mass of cells will have become what's called a blastocyst. When the blastocyst arrives at its final destination, the next step is for the outer layer of cells to implant themselves into the walls of the uterus. They'll do this by burrowing into the lining of the uterus, rupturing tiny blood vessels as they nestle in. A web of blood vessels and membranes, the placenta, will form. This amazing structure will provide nourishment to the developing being from the time it's an embryo until it's a fully formed baby and has been born. Implantation is not always an automatic and sure-fire process. Researchers estimate that approximately 58 percent of all natural conceptions never become properly implanted in the uterus. But when implantation is successful, the hormonal changes that will eventually produce symptoms of pregnancy will begin to take place. The now officially expecting woman will miss her usual period and experience other tell-tale signs of pregnancy: Her breasts may become swollen and sore, her appetite may change dramatically, she may lose her taste for certain foods, and be inexplicably tired. At this point, a home pregnancy test will undoubtedly have a positive result and a new life will be well on the way to birth.